Hollybeary Creations : NND March Sneaks Day 4!! NND March Sneaks Day 4!! It's the final day of our March Release sneaks at Newton's Nook Designs. 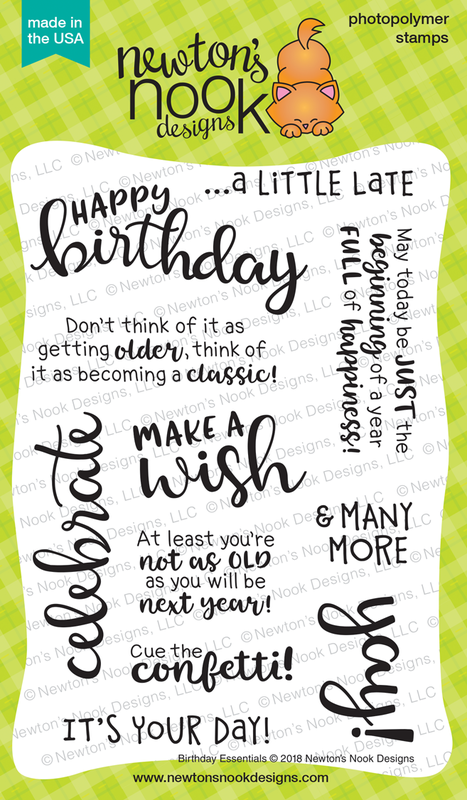 We are introducing Birthday Essentials today, this is a Fun new Sentiment set! I used the new Balloon Shaker Die set as well for my project and a Banner from the Frames and Flags die set. I created a sky background with a cloud stencil and some Tumbled Glass Distress ink. Then I die cut two of the balloons from some Watercolor paper and added some Picked Raspberry and Wilted Violet Distress Ink. I added some water splatters and picked up the excess with a paper towel to create the Distressed look. I adhered them over the sky with some foam tape. I die cut the strings from some Black cardstock and added them to the ends of the balloons. I die cut the banner from some White cardstock and stamped the sentiment using the Picked Raspberry Distress Oxide Ink. Then I die cut the Wish from some Black cardstock. I adhered the banner with some foam tape and then I added some Sparkling Clear Sequins. I love how this came out, this is a great sentiment set for your stash. Love your balloons! :) They are so pretty! could make this pretty of a card, too. Floating away on the breeze. This is so pretty! 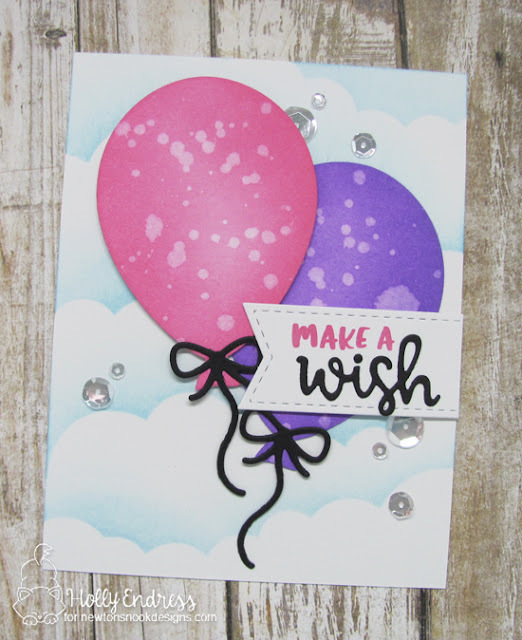 I love the big balloons with the distress ink and the cloudy background too! Your balloons have an almost transparent feel to them. Lovely airy look. Very cute and colorful. I like the water splattered balloons. Wonderful card! I love the colouring of your balloons! Ohhh Holly, Holly, Holly! Your card just makes my heart sing! What a festive card....Love the distressed balloons. Your balloons are simply gorgeous !! Wonderful big balloons...love the final look. 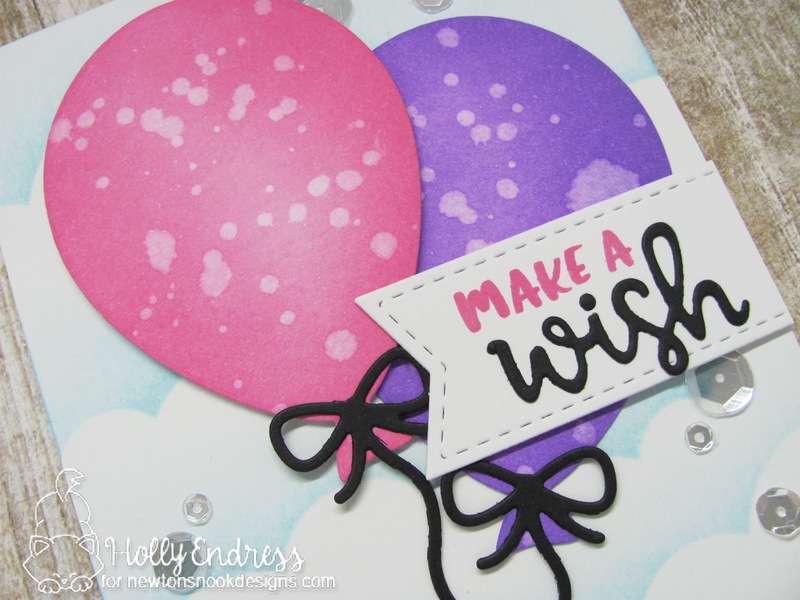 Pretty balloons on your festive card! 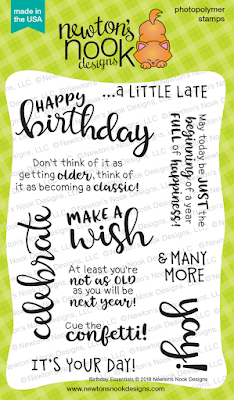 Love the birthday sentiments - I always need more (especially the belated ones!!!!! Adorable. Pink and purple are always a great colour combo. Beautiful and colorful card ! I really like this sentiment stamps set.